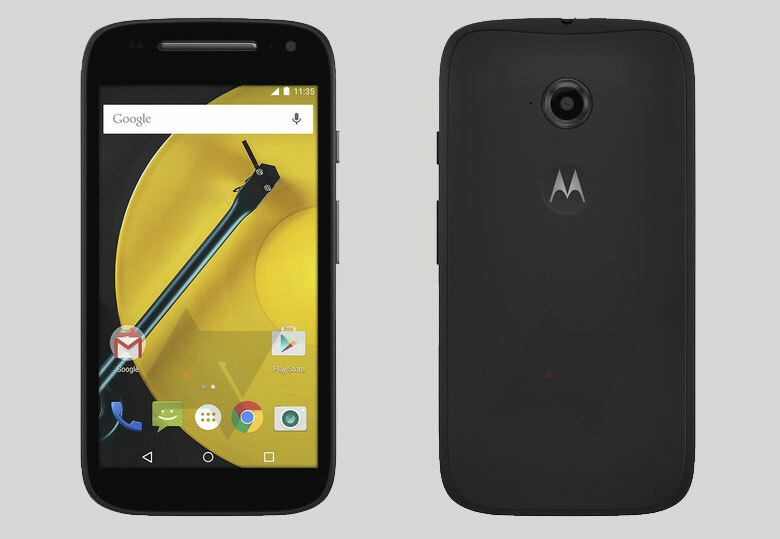 In late spring of last year, Motorola launches their most affordable smartphone, the Moto E, which costs just over $100 dollar. The device added to Motorola’s affordable portfolio of cheap handsets, including the Moto G series. However, this year, the Moto G has improved drastically, which also means that the price has increased. So, maybe it is time for Motorola to fill in the gap with an upgrade for the last year Moto E.
So here is the thing, Android Police got a hold of a render of what appears to be the Moto E. Now, here is the problem: We don’t have anything to go on. No specification, details, launch date speculation. Even the identification of this device is yet to confirm. But the device that we got here has all the tail tail sign of the Moto E: small and no camera flash to reduce the making cost to the minimum. With that being said, we also see the appearance of a front-facing camera, which was absent in the current Moto E devices. One thing that is missing so far from this render is the front-facing speaker, or any at all. It is possible that Motorola has jammed the speaker into the ear piece up top, or put it around back and covered it with the backplate. Now, while we don’t have a release date at all, MWC is near, and it is possible that we will meet this device again at Barcelona, so stay tuned! Previous Is HTC developing a Firefox OS device?